Gary P. Gilroy is a Professor of Music and Director of Bands at California State University, Fresno. In 1993 he was appointed Associate Director of Bands and Director of the Bulldog Marching Band. After 13 years in this position and building one of the finest collegiate marching bands on the west coast, Dr. Gilroy became Director of Bands in 2006. Prior to this appointment he served for a decade as Director of Bands at Fred C. Beyer High School in Modesto, California where his band was awarded several national honors as well as the International Sudler Shield Award from the John Philip Sousa Foundation. Gilroy also served as faculty at CSU, Stanislaus and graduate assistant at the University of Oregon in Eugene, Oregon where he completed his doctorate in 1995. In March of 2014 Dr. Gilroy was voted into the membership of the prestigious American Bandmasters Association. He served on the board of California Band Directors Association for fourteen years and he is a Past President of that organization. In 2009 Dr. Gilroy was given the Distinguished Service Award and in 2015 the Don Schmeer Friend of Music award from CBDA. Gilroy is also a Past President of the Fresno Madera Counties Music Educators Association. In 2016 Dr. Gilroy was again honored with the CMEA John Swain/College/University Educator award from the California Music Educators Association. From 1999 to 2006 he served on the board of the National Band Association as a Member At Large and the Western Division Chairman. In 2017 Dr. Gilroy was a co-founder of the Wind Symphony of Clovis, a group of semi-professional musicians from California. After being in existence for less than a year the band was accepted to perform at the 72nd Annual Midwest Clinic in Chicago, Illinois. Their December-2018 performance earned them an immediate standing ovation at the conclusion of the concert. Dr. Gilroy is in demand as a guest conductor of many honor bands throughout the United States. As an adjudicator and guest conductor he has served in 40 states, Canada, China and England. Dr. Gilroy has been the conductor for all state groups in Colorado, Iowa and Oregon as well as the All-Northwest Wind Symphony, the California Band Directors Association All-State Junior High School Symphonic Band and the All-State High School Symphonic Band. An ASCAP Award-winning composer with more than 200 publications to his name, Gilroy’s music is published for concert band, marching band, and various ensembles through the Arrangers Publishing Company, BRS Music, Inc., C. Alan Publications, Daehn Publications, Gary P. Gilroy Publications, Kagarice Brass Editions, Matrix Publications, TRN Publications, Warner Brothers, Wingert-Jones, Inc., TrevCo Music Publishing and CPP/Belwin Mills. 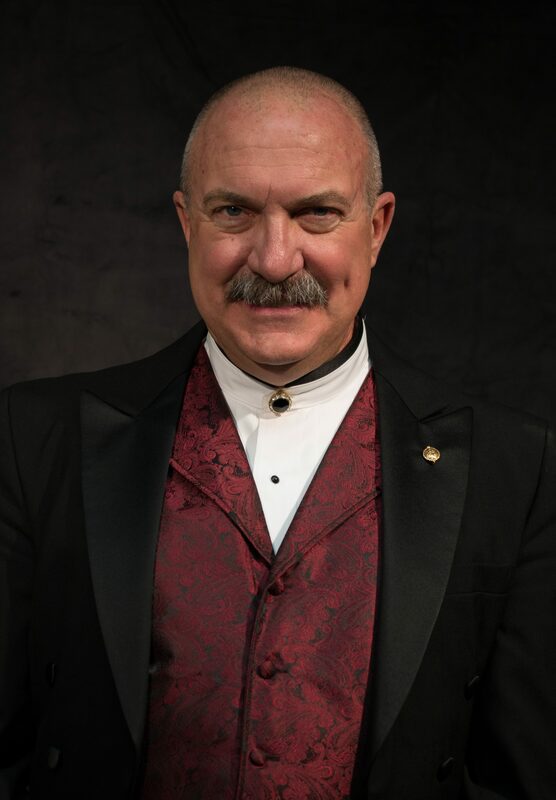 His compositions have been featured at the American Bandmasters Association Convention, the Bands of America National Concert Band Festival in Indianapolis, the Eastern Trombone Workshop in Washington, DC, the International Trombone Festival in New Orleans, and on many occasions at the International Midwest Band and Orchestra Clinic in Chicago. Additionally, Gilroy’s compositions have been performed by many regional and state honor bands throughout the United States. Dr. Gilroy served as the arranger/composer for the 2008 Olympic Orchestra in Beijing, China. He has been an ASCAP Composers Award recipient every year since 2001.